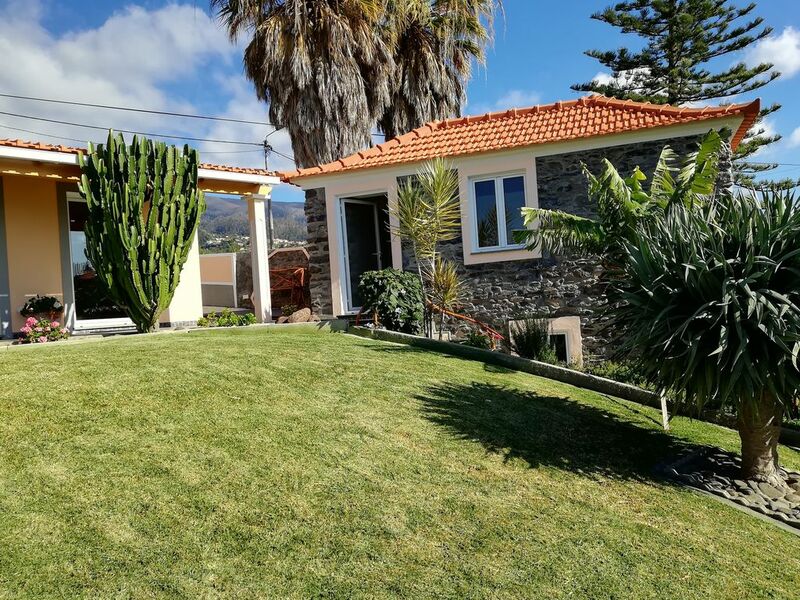 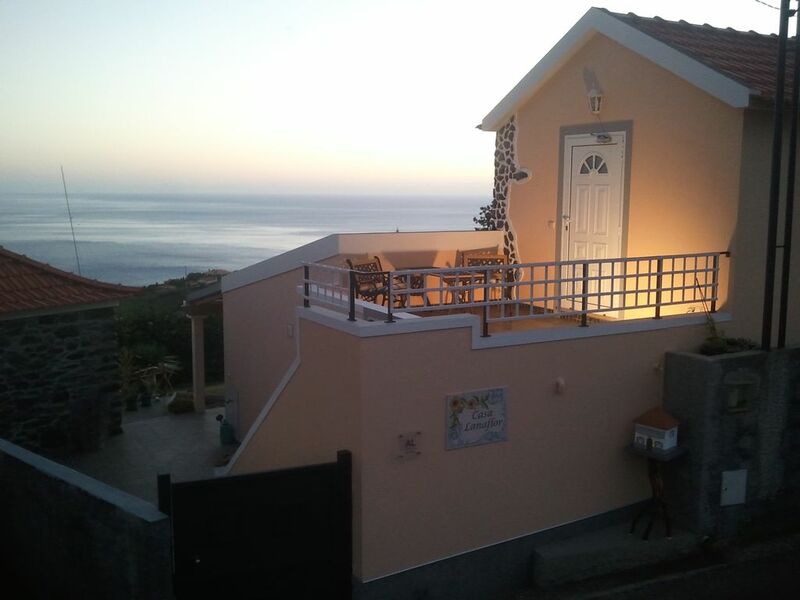 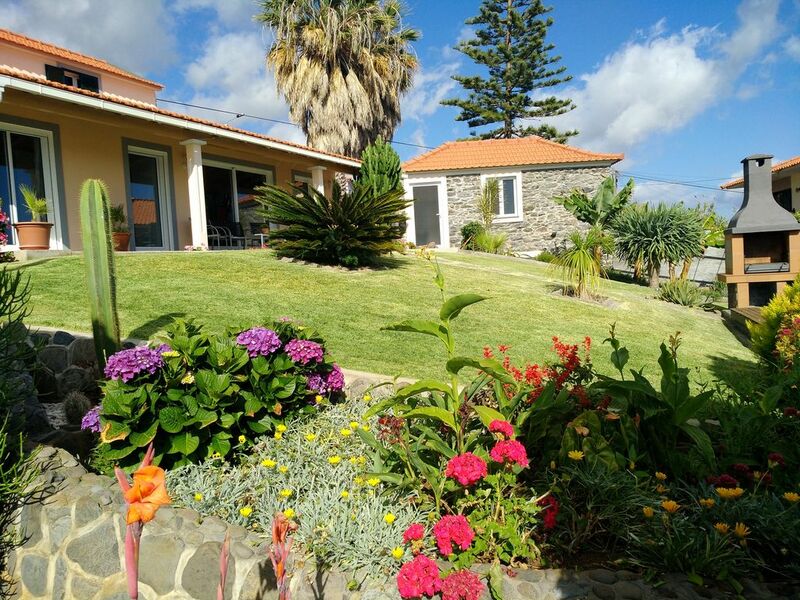 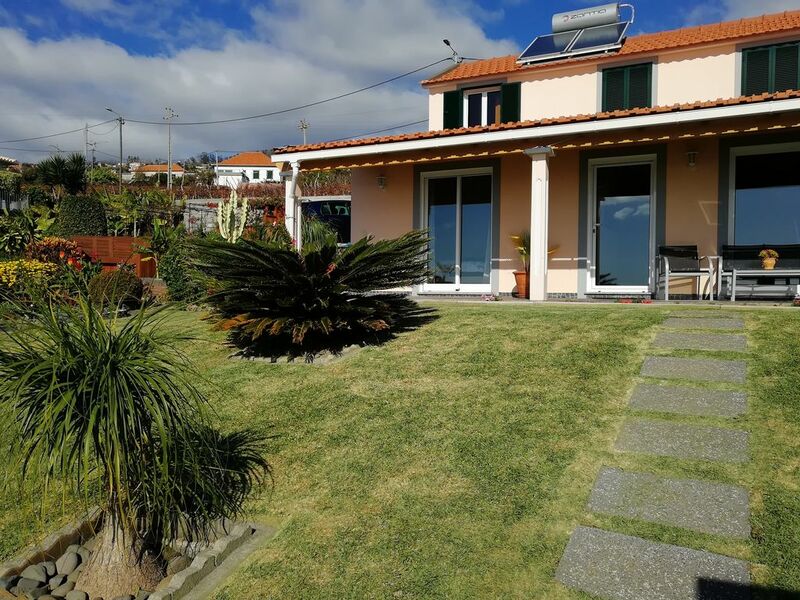 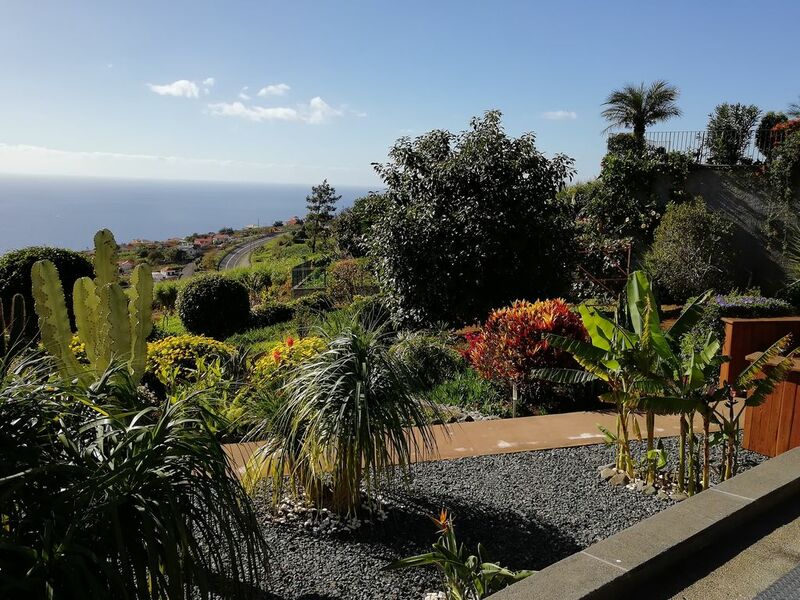 Holiday House in Calheta, Madeira. 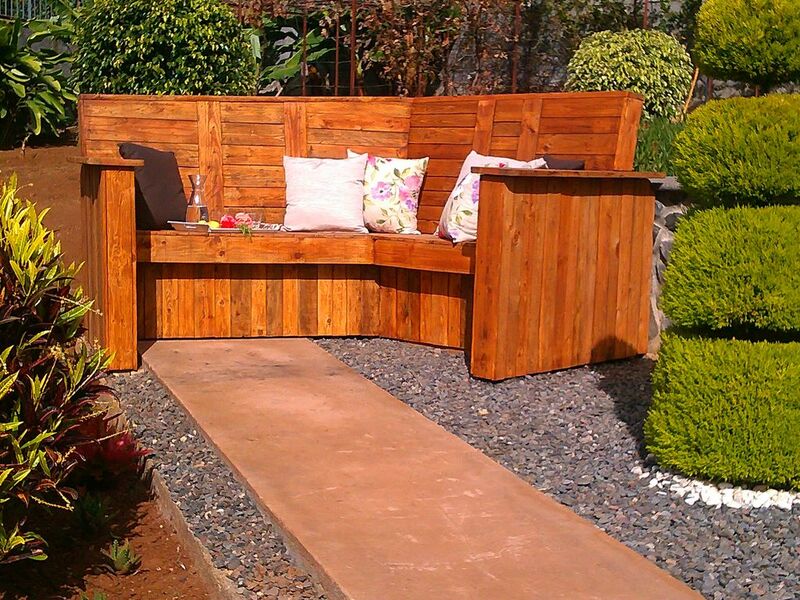 A place to dream, relax and unwind. 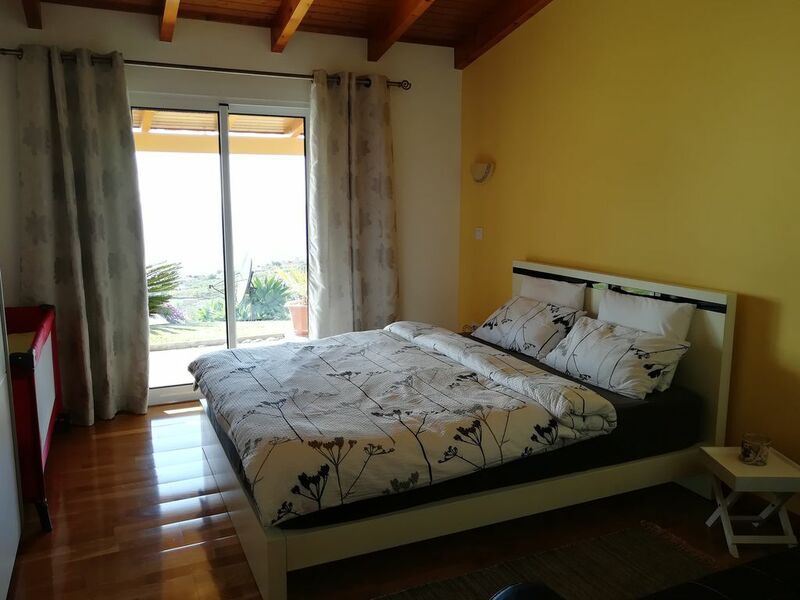 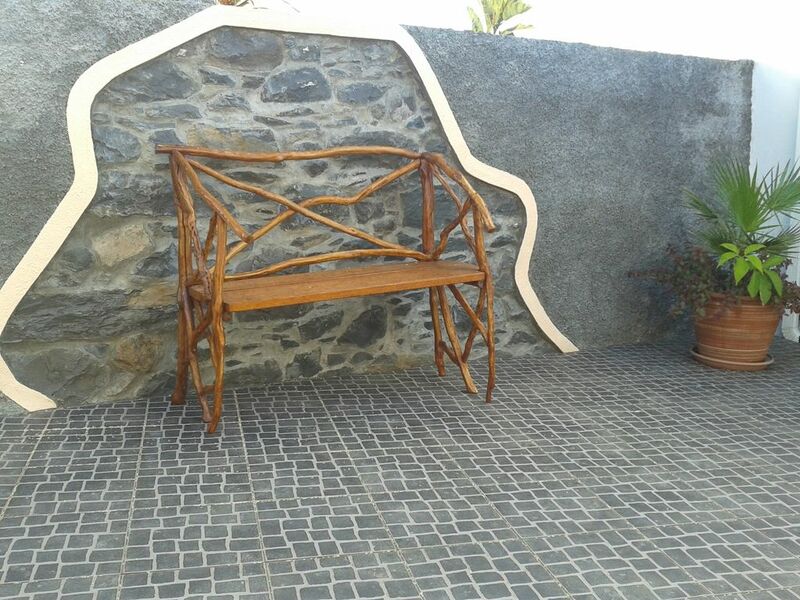 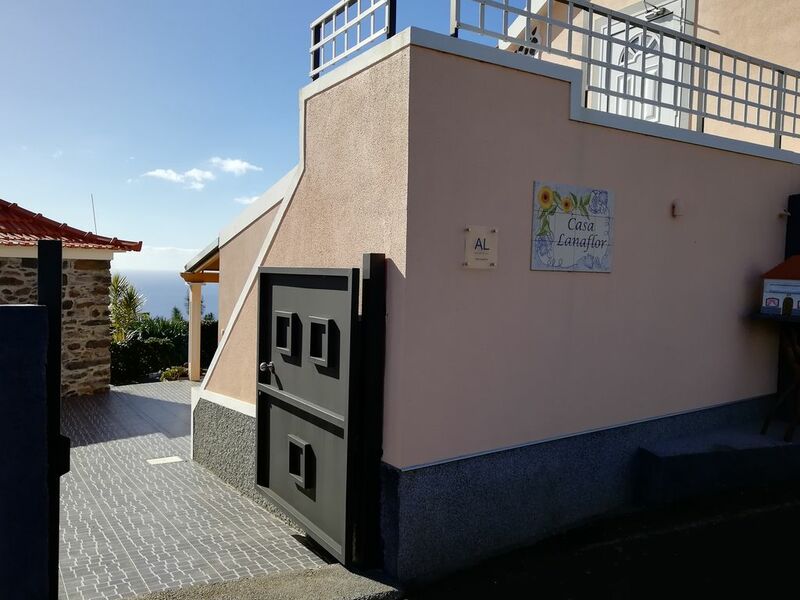 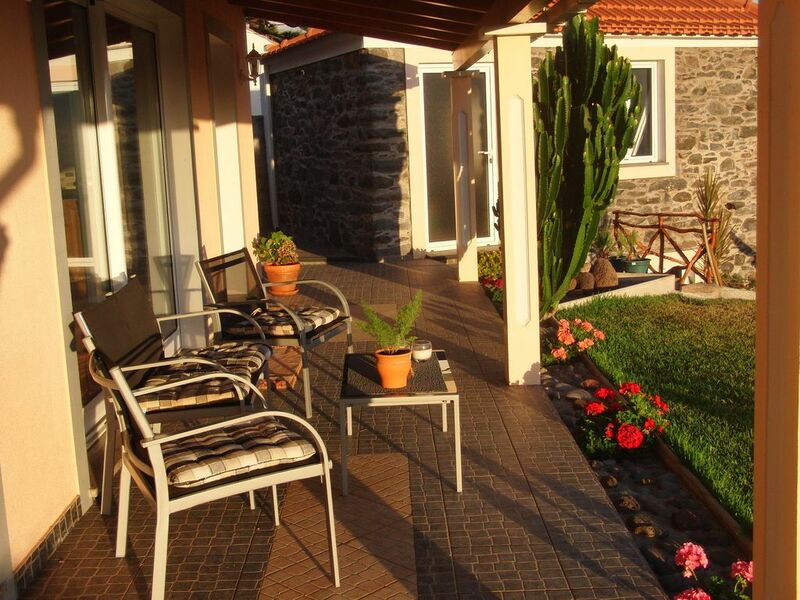 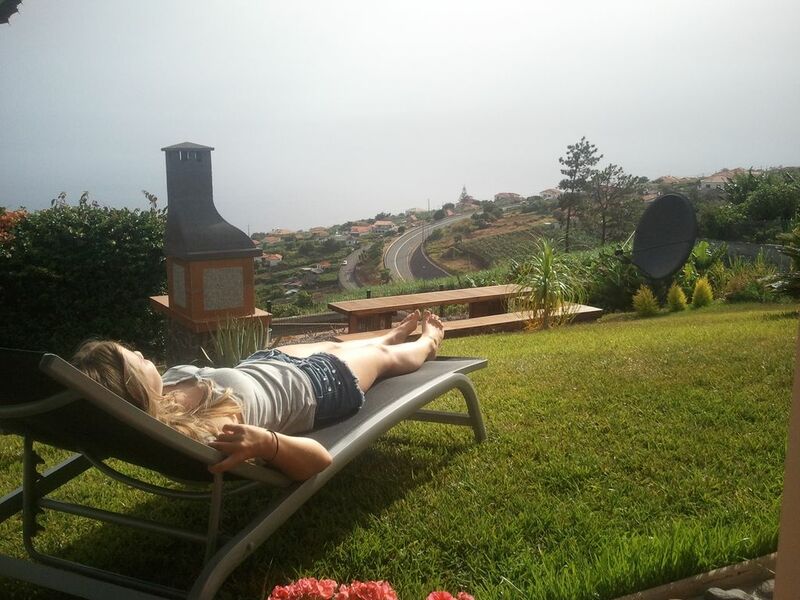 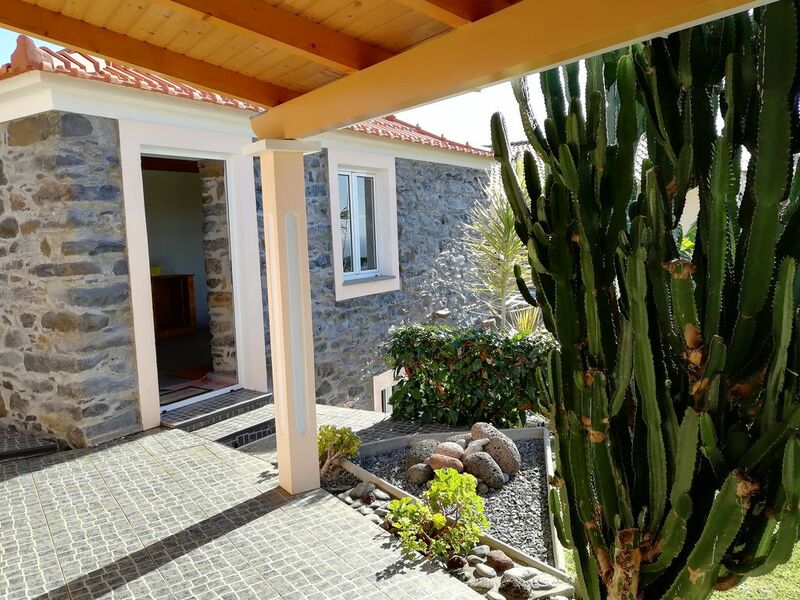 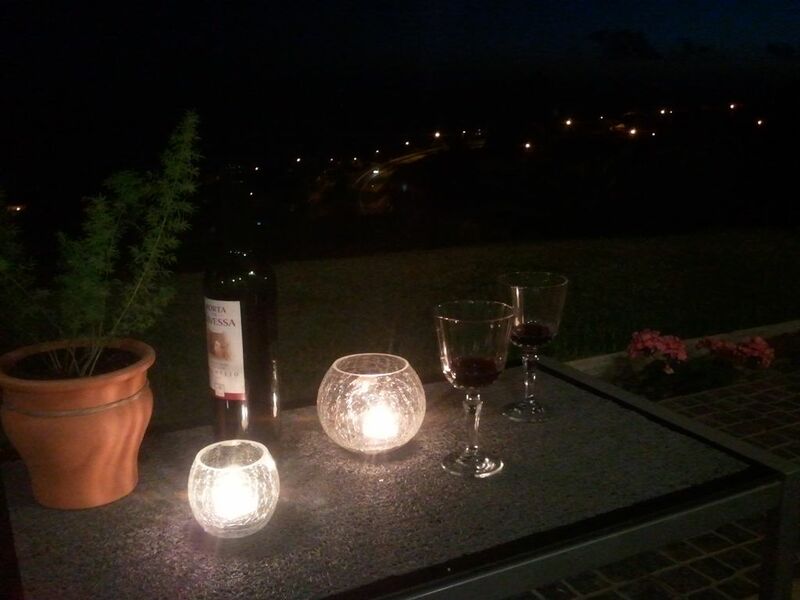 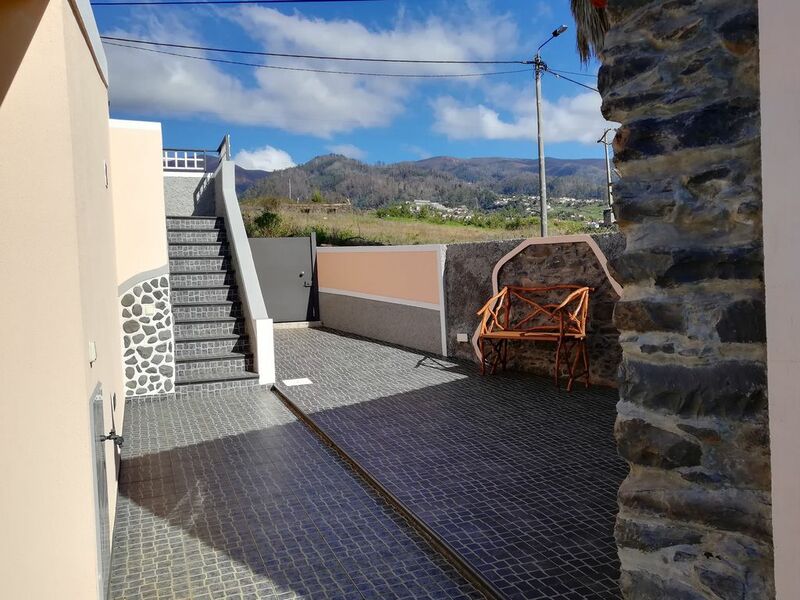 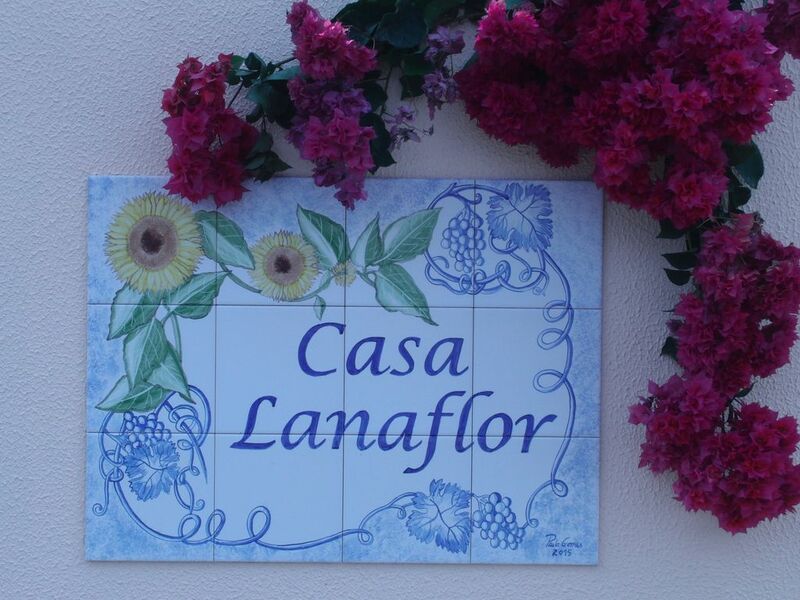 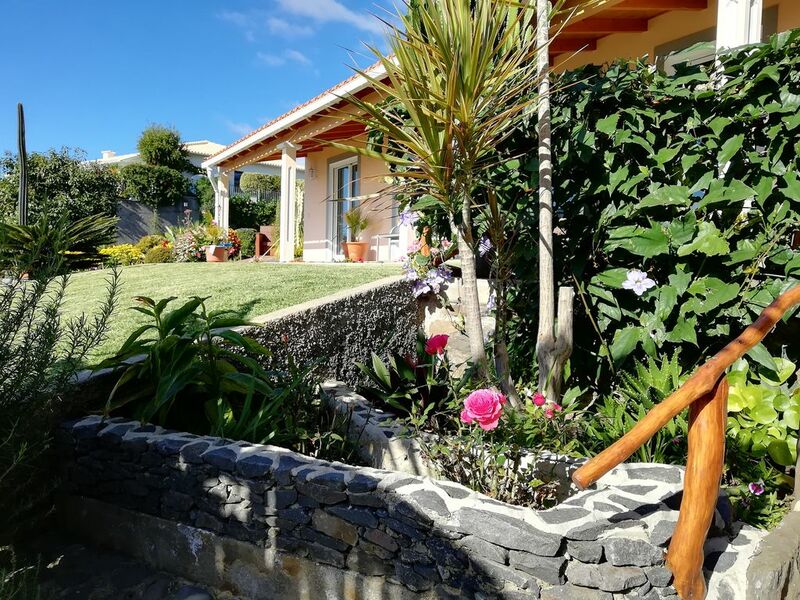 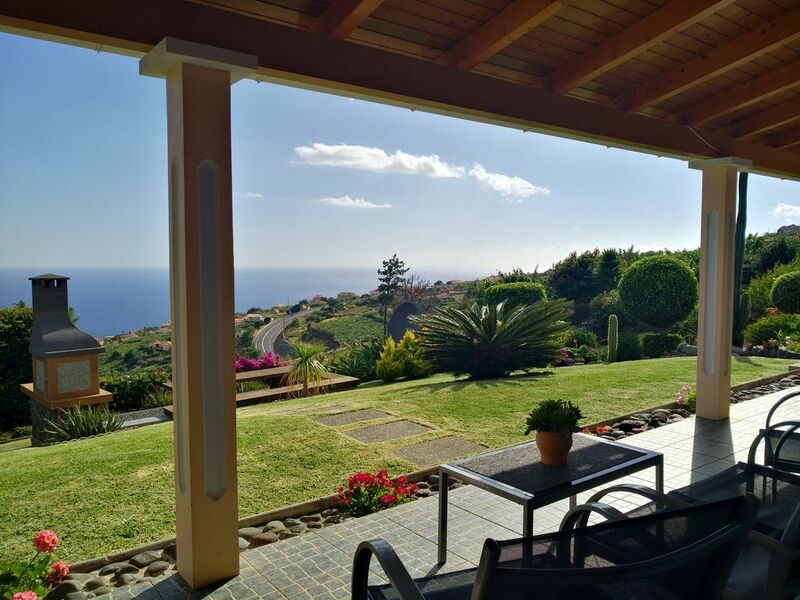 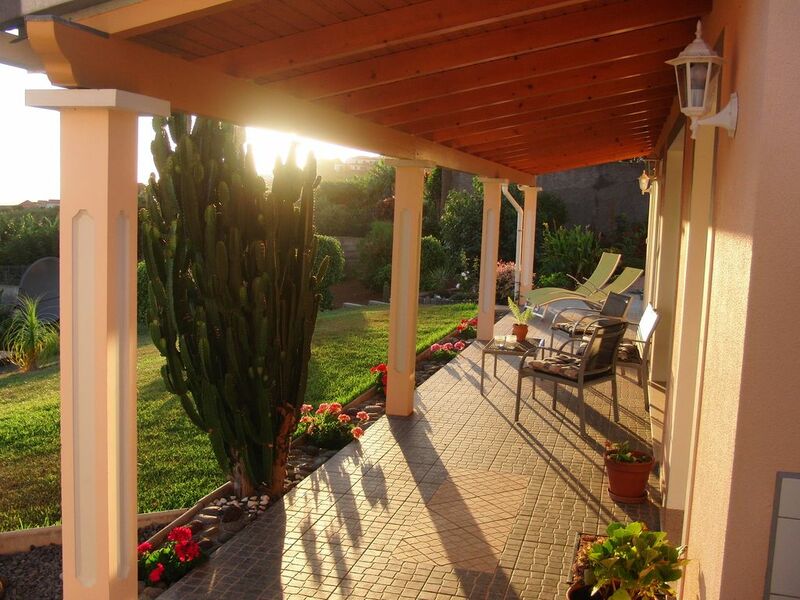 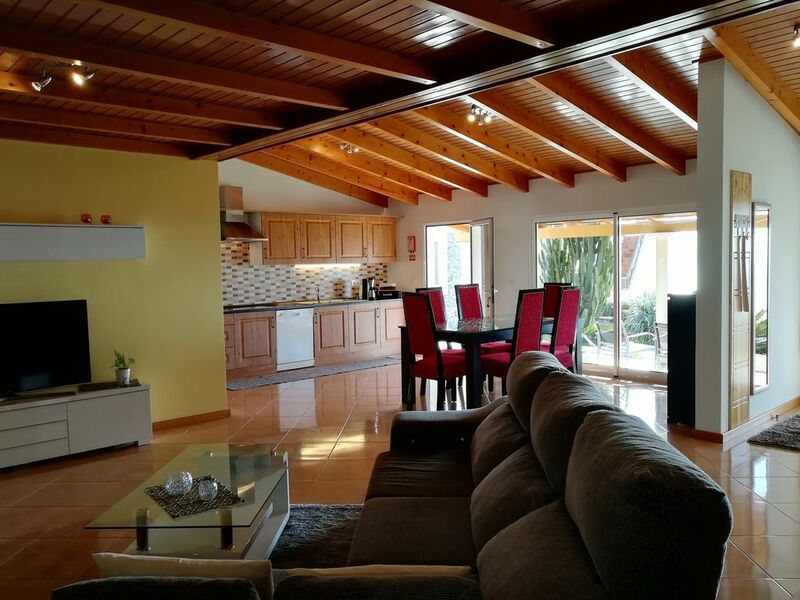 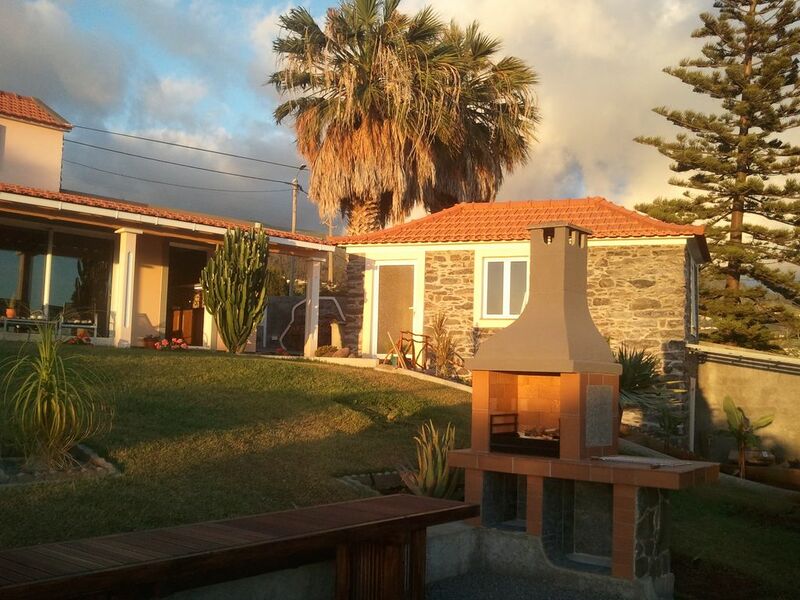 Casa Lanaflor located in the sunny south-west of the island, 290 meters above the Atlantic in the village of Calheta. 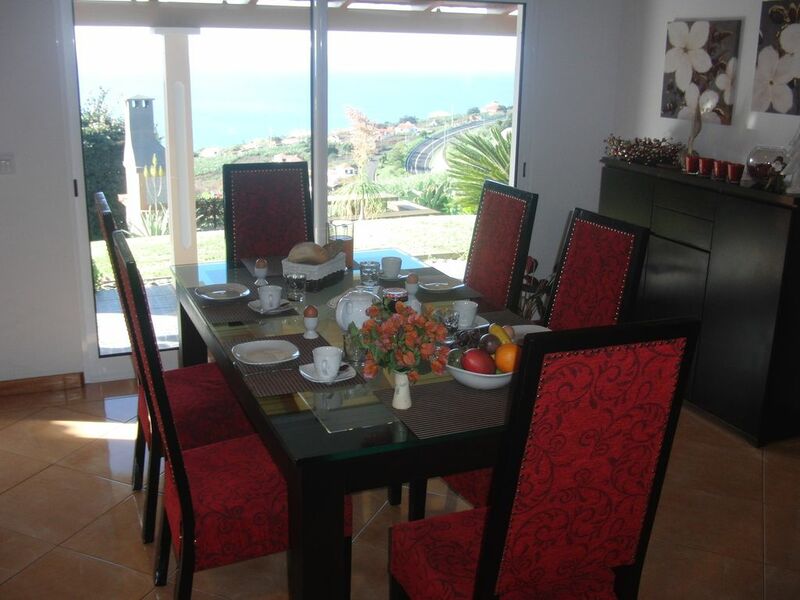 From here you have a magnificent view over the mountains, you can see the sea from every room. 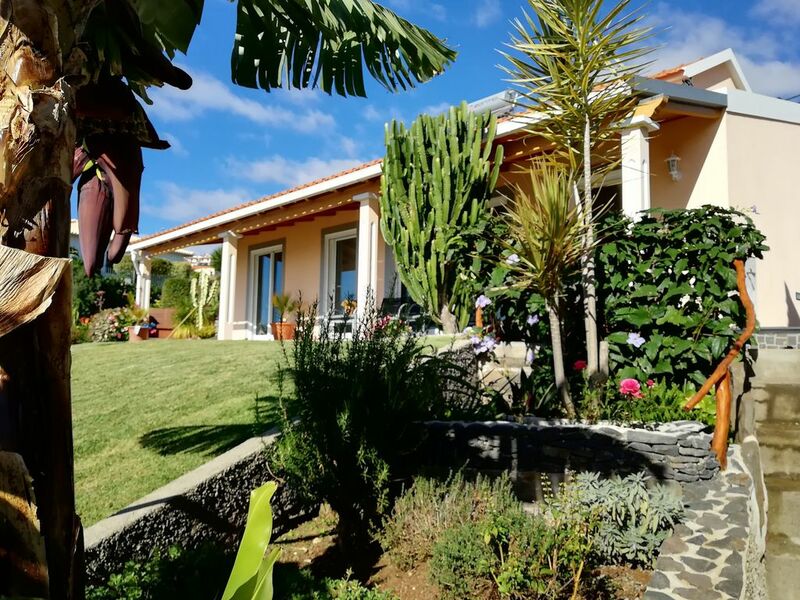 The house is surrounded by a very large garden with lots of plants, herbs, fruit and banana trees. 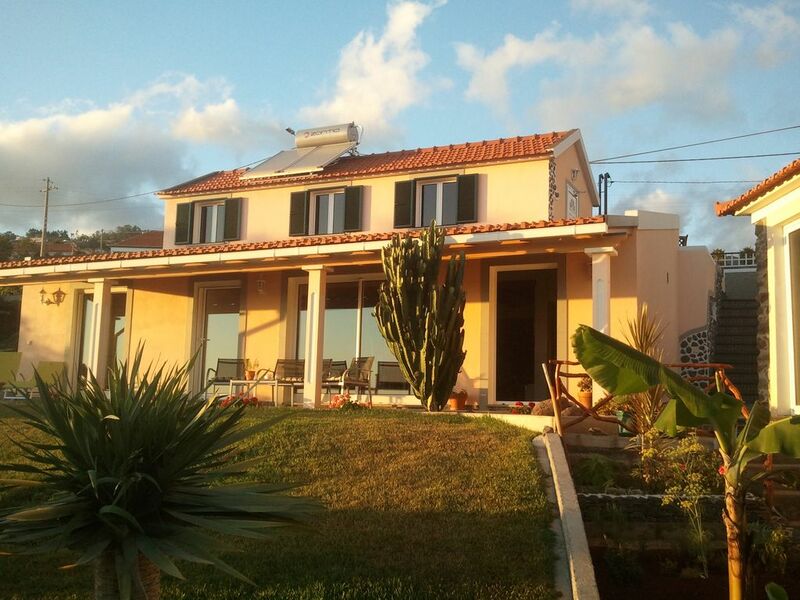 Due to its central location it offers an optimal starting point for your island exploration. 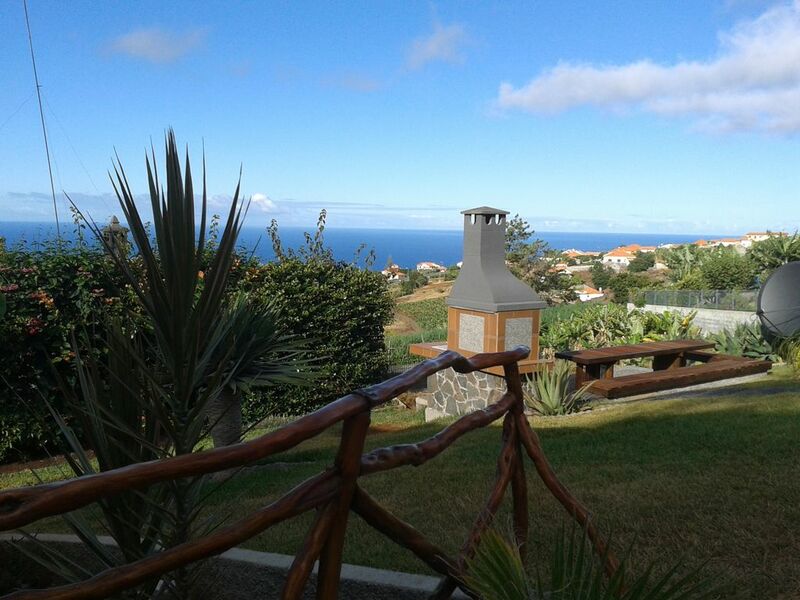 Already in just a few minutes from one of the many levada walks. 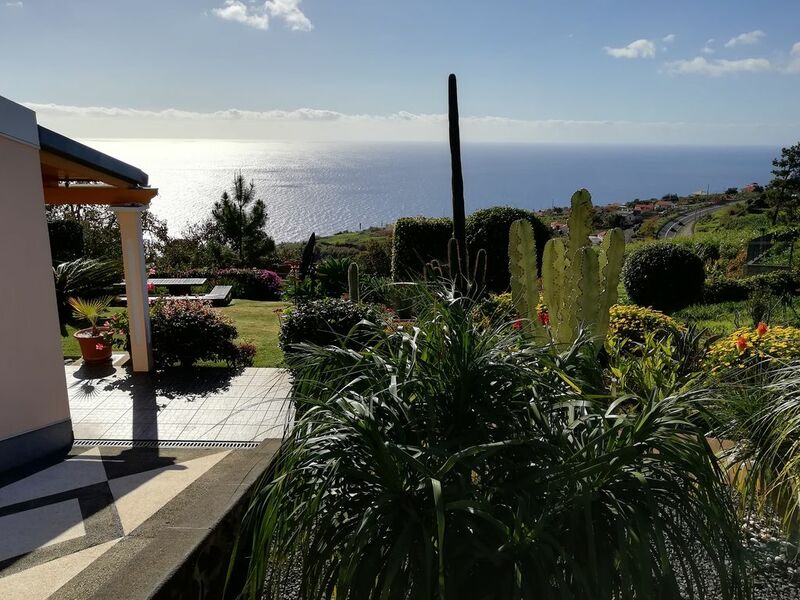 In less than half an hour the plateau of Paul da Serra, the mountains with his Urbewuchs, which has been designated a UNESCO World Heritage Site, the hiking paradise Rabacal, on the north side of the island of Sao Vicente. 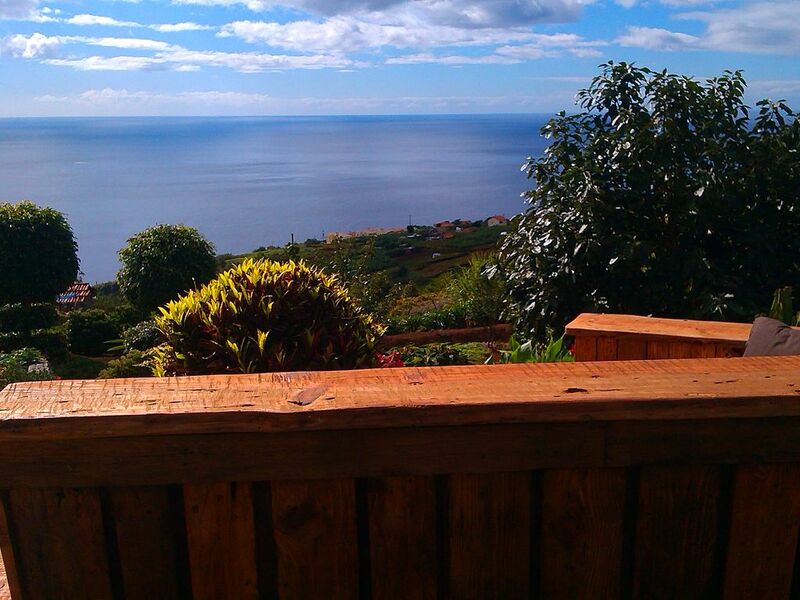 The island capital of Funchal can be reached in about 25 minutes, the airport in about 45 minutes. 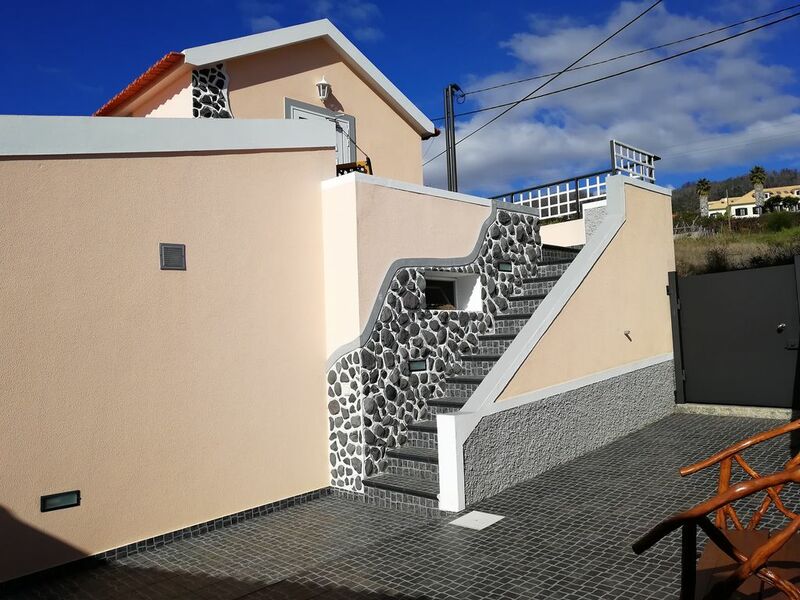 Casa Lanaflor is divided into two floors, with the upper can be reached by an external staircase. 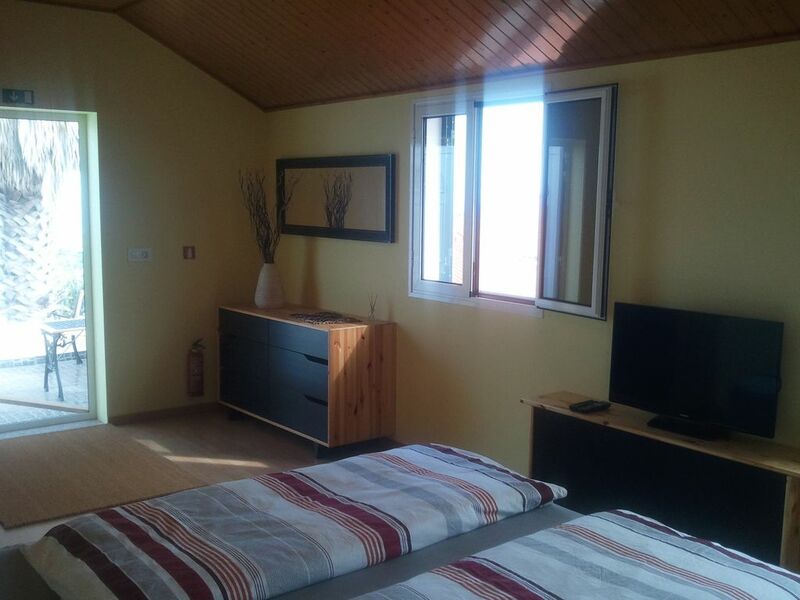 Here you will find a cozy living room / studio with a double and a single bed. 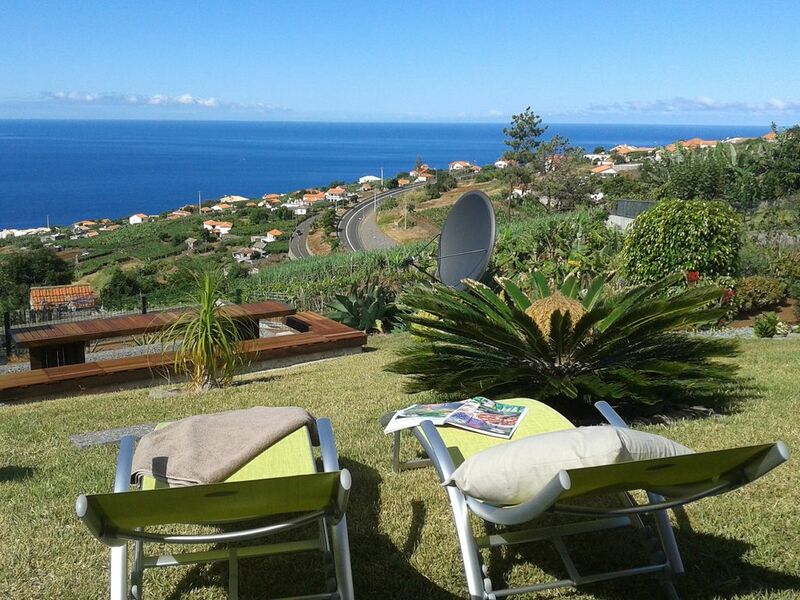 Also satellite TV (German channels) is present. 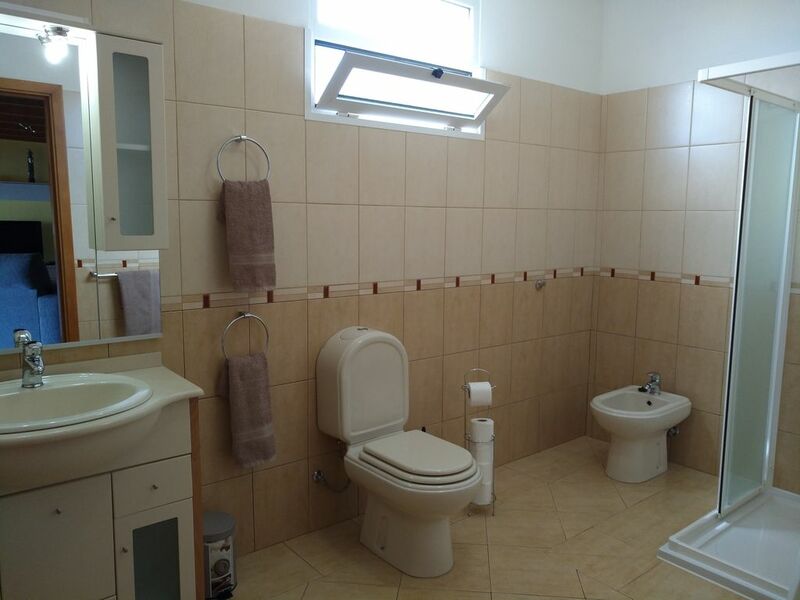 The adjoining bathroom has a shower, bidet and WC. 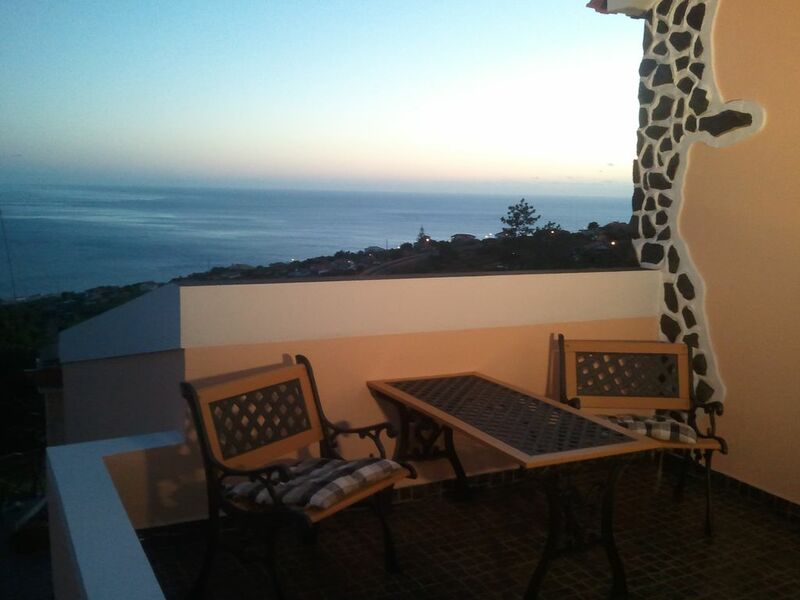 From the terrace is the clear view of the mountains and sea. 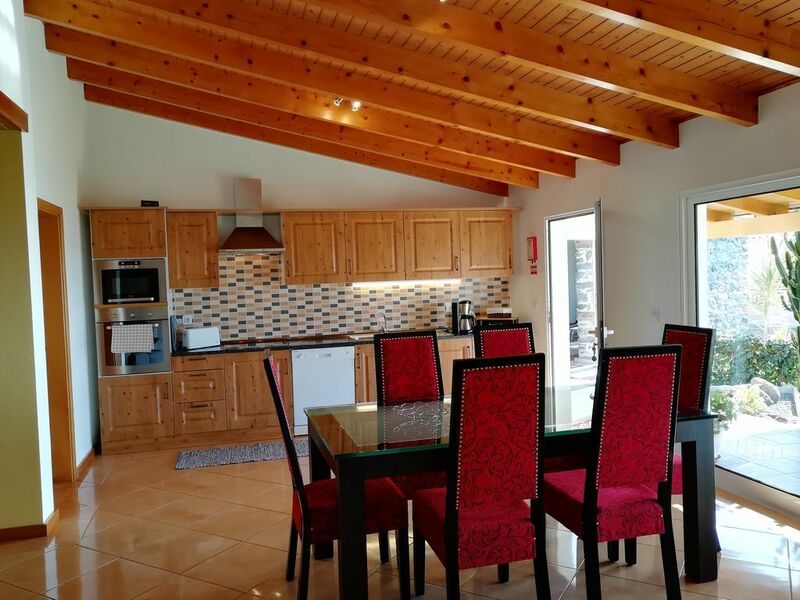 On the ground floor is the open, fully equipped kitchen with spacious living and dining areas. 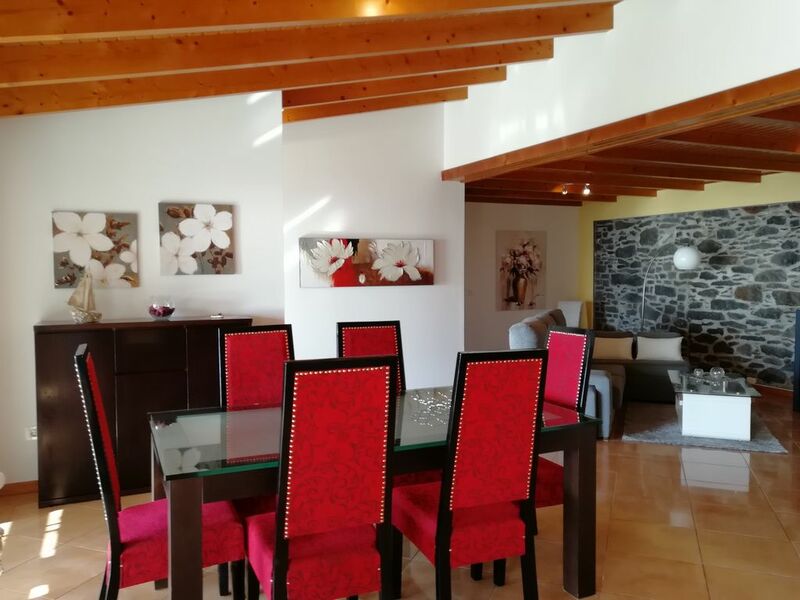 A comfortable couch invites you to relax or watch TV (German channels), a large dining table with seating for 6 people to sit together. 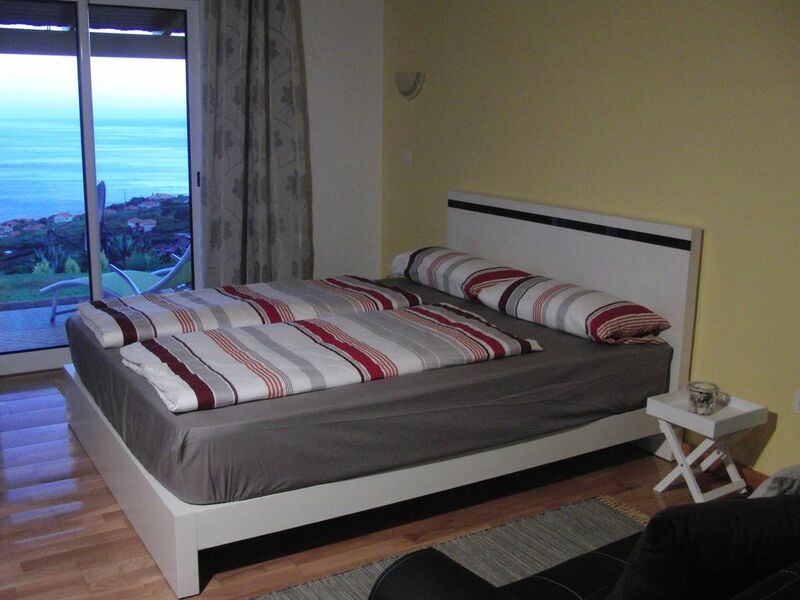 The master bedroom has a double bed from which you can see the sea already upon awakening. 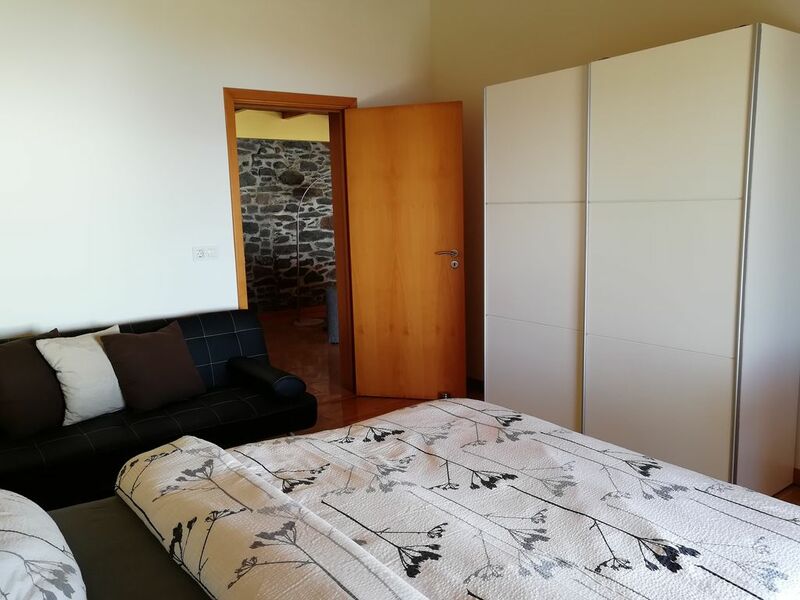 For a third person the guest bed is available. 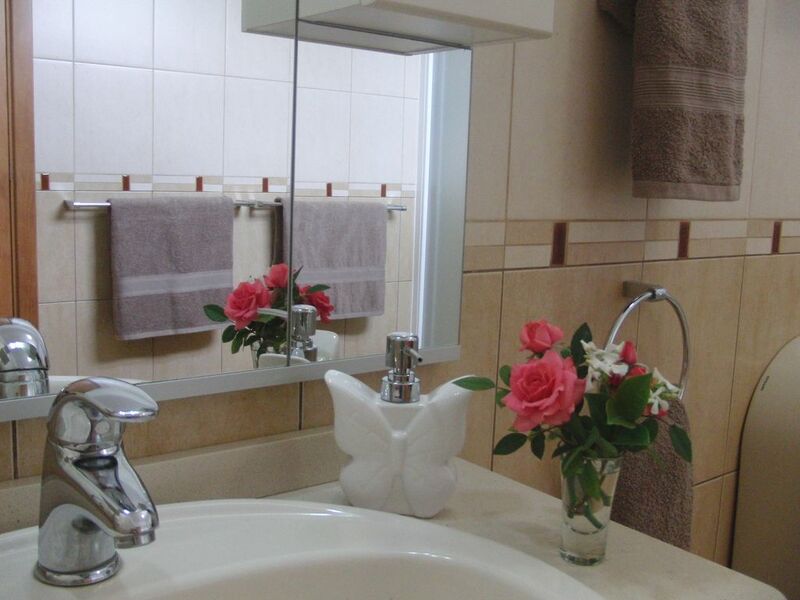 The bathroom has a shower, bidet and WC. 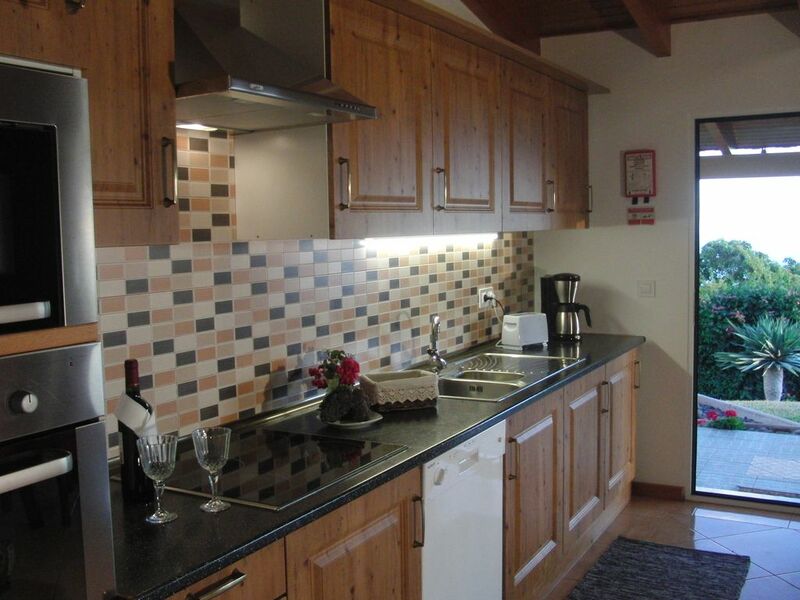 Washing machine, dryer and drying rack are housed in the utility room. 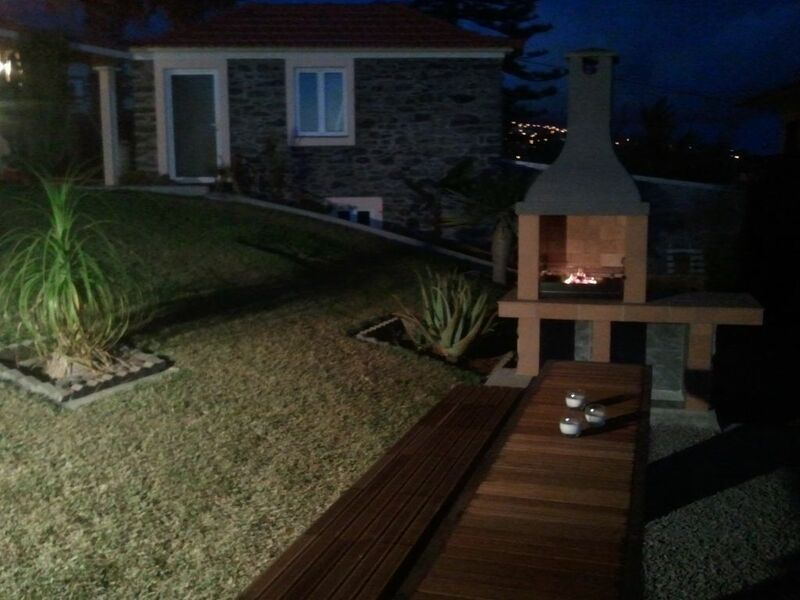 A nice barbecue oven with large sitting area invites you to cozy outdoor dining. 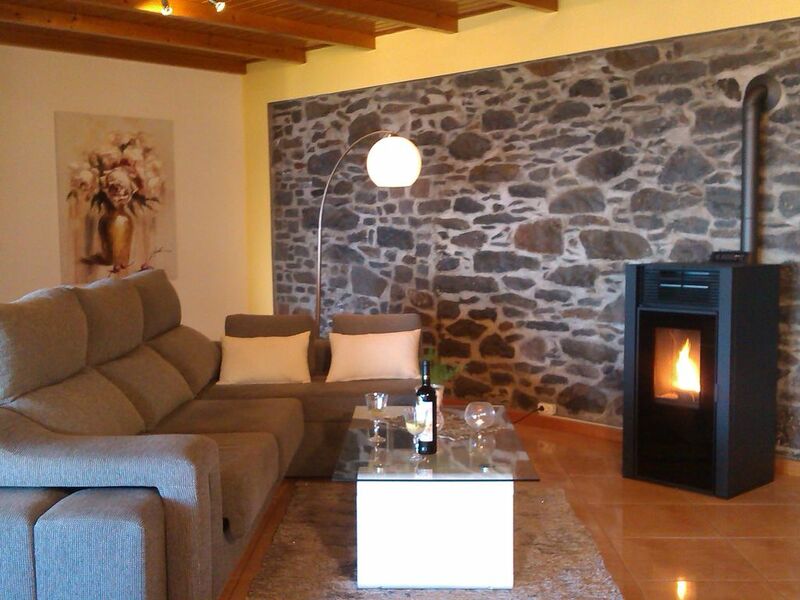 For cooler days more electric radiators available, the fireplace is not heated. 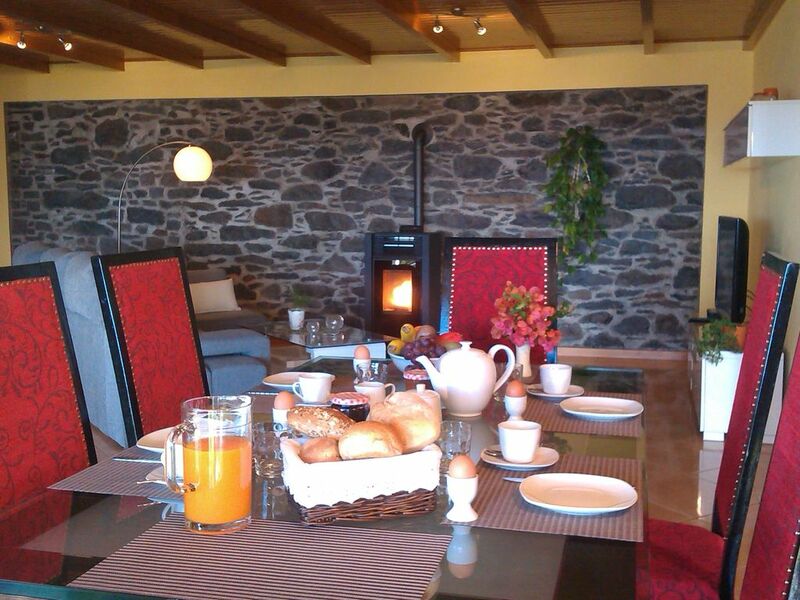 Inside the house smoking is not allowed.